With a GSM GPS tracker, you will need a sim card to enable tracking services to work. You can communicate with the tracker remotely via the phone number associated with the prepaid sim card. Some use text messaging to locate the tracker, other devices use data connection. Either way, our prepaid SIM cards offer Voice call, text and nationwide 2G 3G & 4G LTE Data. With Home Security Systems, if the system was set-up to report activity via text messaging then users will be notified via text messages. Another example, every time the system is Arm/DisArm, a text or voice call is transmitted remotely depending on how the system was set-up. The same concept applies to Smart watches. Choosing which prepaid plan will work for you will depend on how the GSM device is set-up for activity notifications. Remember! 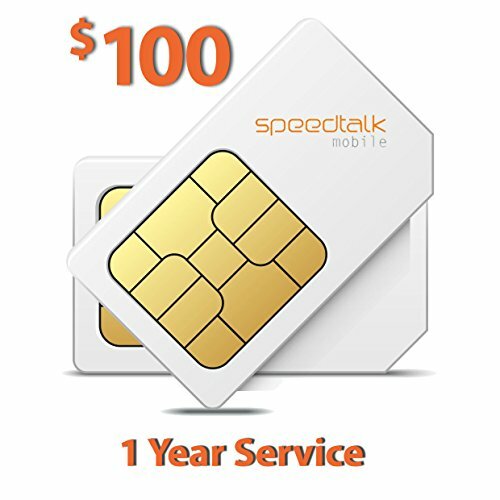 To continue having our service, you can refill your SIM Card Account at RefillSpeedTalk before your current plan expires and to avoid any service interruption. To activate please visit us at ActivateSpeedTalk . NOTE: After SIM activation, it might take upto 24-hours for the GPRS and data settings to sync and update with your device (phone or Alarm system or smart watch or gps tracking device...etc). Make sure you turned on the power in your device, in a good reception area.